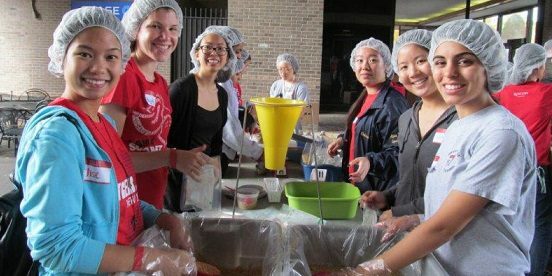 Volunteer with Rutgers Against Hunger to fight food insecurity! You can help us collect food, pack meals, raise awareness on campus, and participate in various events. A $1 donation to Rutgers Against Hunger is enough money to provide eight meals at local food banks, or up to 14 pounds of food. Donate now to make a difference. Learn about Adopt-A-Family! Click on the tab above to discover more about this program and how to get involved. Be sure to follow RAH on Facebook, Instagram and Twitter for all our latest updates! Say hello to some of our SORAH board members! Interested in helping them combat hunger in New Jersey? 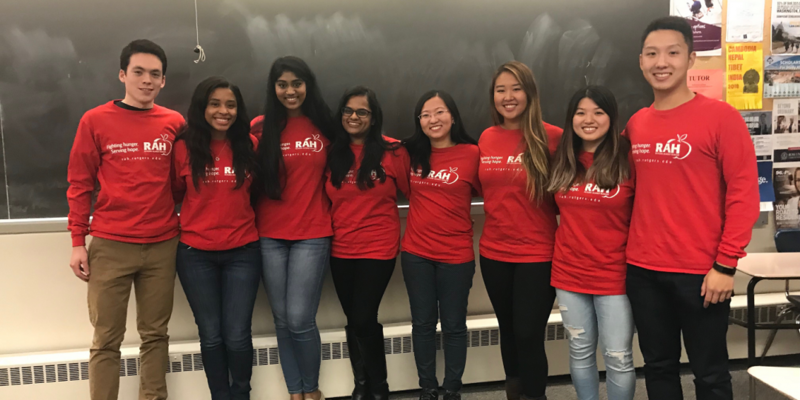 Reach out to studentorganizedrah@gmail.com for information on how to join the Student Organized Rutgers Against Hunger.